Staying energized so that you can be more active and lose more weight is difficult, especially in the beginning. I remember when I began my journey it was difficult to find the energy I needed to get up and walk to the store. I started to lose weight by walking every day to the store to get the meals that I would eat that day. This act changed my life and it wasn’t always easy. There were times when I didn’t want to do it and I felt like I couldn’t. As you change your diet and learn to eat better, and you start to drop the weight, you will begin to have more energy, but how do you get the energy to make to that point? I want to share with you some ways you can increase and maintain your energy throughout the day so that you can stay active, have the motivation to do what you need to do to reach your goals, and continue to lose weight. Most of us don’t get enough sleep, and this is something that I have been guilty of many times. Life is busy, and we are constantly told that we need to stretch our time to get things done. We are told that we can “sleep when we are dead,” but the reality is, you need to get your sleep. Ideally, you should get 6-7 hours of quality sleep every night, and doing so can really help you stay more alert and energized throughout the day. Not only does getting enough sleep help you maintain energy, but it can also help you lose weight. When you don’t get enough sleep, you can end up with a hormone imbalance that makes it difficult for your body to tell you when you are truly hungry and when you are full. This can lead you to consume more calories than you realize. People who don’t get enough sleep (5 hours or less) produce more of the hormone ghrelin, which is a hormone that tells your body when to eat. They also produce less leptin, and this is the hormone that tells your body when you are full. This means that when you don’t get enough sleep, and these hormones become imbalanced, you can easily over-consume and end up in a calorie surplus. Eating gives us energy, and that is no secret. We typically feel better after we have had a small meal. If you find yourself continually dipping in energy throughout the day you may want to consider eating more often. When I say to eat more often, I do not mean eat more. Instead of eating three large meals, try eating three smaller meals. It doesn’t matter when you consume your calories (unless you are fasting), as long as you are not under or overeating. Besides eating smaller meals throughout the day to maintain a steady level of energy, you also want to be sure that you are not skipping meals (unless it is a planned fast). When you skip a meal you are more likely to feel drained and sluggish. If you stick to eating processed foods, you will not be able to maintain the same energy levels that you would if you ate whole foods. Not only will you not have the same energy levels, but cutting calories low enough to lose weight can be difficult, not to mention unhealthy. Processed foods do not contain the same nutrition density that whole foods do. Whole foods also contain vitamins and minerals that are essential for your body to function, this includes your mood and energy levels. It is easy to want to grab an energy drink to help give you a boost, but often these drinks are full of unhealthy ingredients and tons of sugar and calories. Instead of relying on energy drinks for a quick pick me up, grab a cup of black coffee with no sugar. Not only does coffee make a great natural alternative to energy drinks, but it also makes a great pre-workout that will help you through your exercises. If you don’t like coffee you can also drink green tea and an alternative. 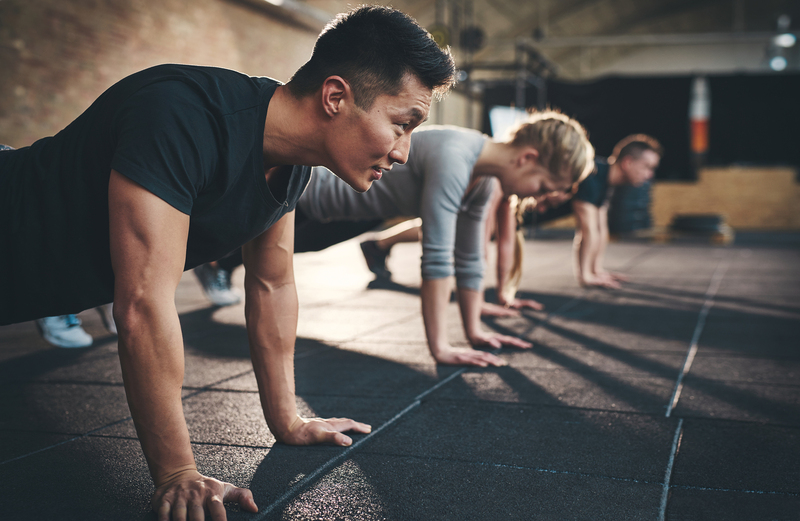 Although one of your goals is to maintain enough energy to get through your workout, maintaining a solid workout schedule can actually be the key to achieving your energy goals. I started out with walking because at the time when I was 605 pounds I was able to become more active and while also not pushing myself past my limits. Knowing your limits is important. The workout should be challenging, but you shouldn’t push yourself too hard to the point where you are left exhausted and drained. When this happens you are more likely to skip out on workouts and your energy levels may remain low. If you have a lot of weight to lose and are generally not very active, start with walking as I did. Gradually add distance, time, and intensity to your walks so that they continue to challenge you. As you become more active you can add in more levels of exercise. Before long you will begin to feel more energized after your workout, which will then encourage you to continue your exercise. Once you are ready for workouts, you can follow the daily workouts that are posted within Team Possible. Every day you get a new workout so you can continue to challenge yourself. Staying active is crucial to losing weight because it helps you to maintain energy and burn more calories. In the beginning, it may seem tough to begin a workout routine and stay on track. Start by creating a workout schedule for the week. Add it to your calendar if you need to and commit to it. I have been doing this for three years now, and for me, the gym is a place that I work out my stress and frustrations. It has become a place that is second nature to me, but I still have days where I don’t feel like going. I get through this by keeping my eye on my goals. I know why I am doing this and I use that as motivation. 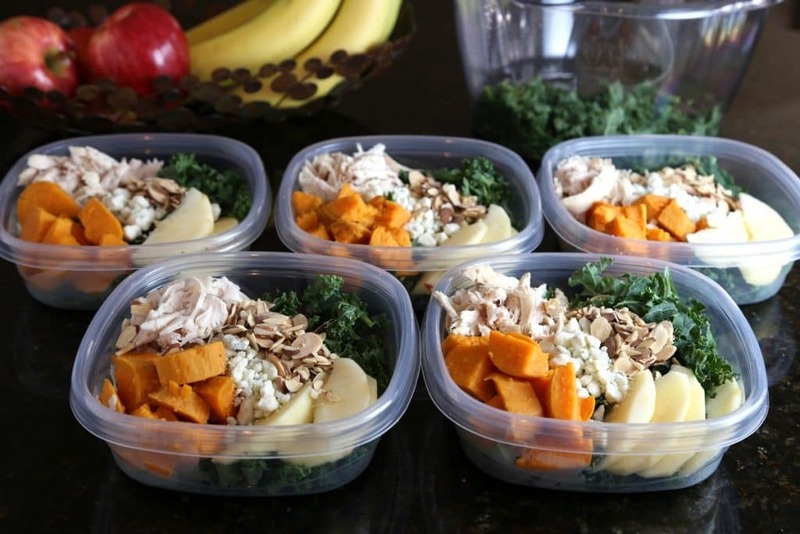 I am doing this to stay healthy for my family. I am doing this to keep the weight off for good because I don’t want to go back to being the person I was. Write it on post-it notes and place them in around the house and in your car so you will see them and be reminded why you need to push forward to get to your goals. ᐅᐅᐅ Learn how I discovered my “Why” and how I used it to push myself forward, and how you can do the same. Maintaining your energy as you lose weight is one thing that many people struggle with as they lose weight. For most, having energy is something that they struggle with before they begin to lose weight. Before I started to lose weight, I wasn’t very active, and so I didn’t have a ton of energy. When I started my routine of walking every day it was a challenge because I wasn’t used to being so active. I didn’t think I would have the energy to get through it, but I quickly learned that if I paid attention to the foods I was eating and stuck to my workout routine, I would feel more energized. At the beginning of your journey you may not feel like you have the energy to lose all the weight that you need to, but trust me. If you focus on whole foods, being more active, and getting the sleep your body needs, you will find yourself being able to better maintain your energy throughout the day. There are so many challenges that people face as they lose weight, and I’ve been through them all. I also know the struggles of keeping the weight off once you begin to lose it. This is why I created Team Possible, so I could create a community where I get to help others through the struggles that I faced. I also get to learn what each individual person’s struggle is and help them through it. 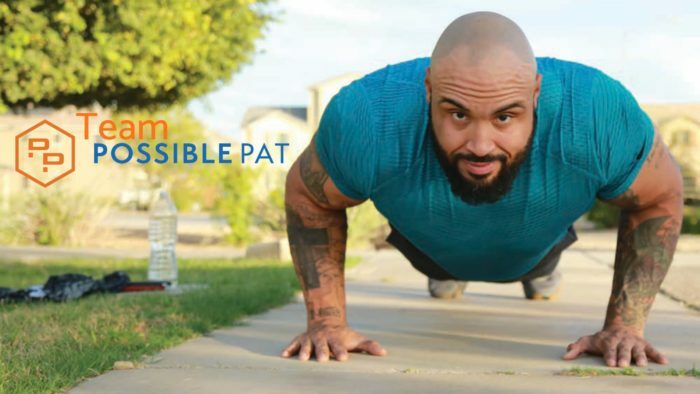 If you are struggling with weight loss, become a member of Team Possible. This is a community where I have you covered with nutrition, workouts, and a whole community of support. I go live several times a week and even have the members of my community join me for one on one discussions and personalized help. Join Team Possible and take back control of your life!